Texas Housewife: Are You the Family CFO? Are You the Family CFO? Does your family have a CFO? 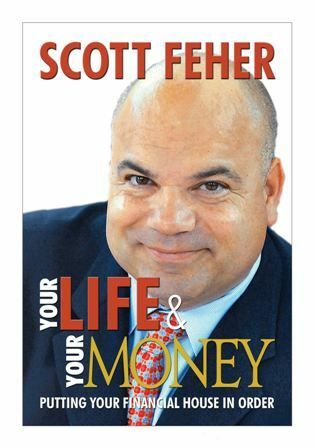 I know that seems a bit business like, but author Scott Feher shares in his book Your Life and Your Money: Putting Your Financial House in Order, how important it is for one person to take charge of a family's finances. I don't know about you all, but finances around here are a stressful subject. When you don't bring in enough money to make ends meet, things can get quite tense. I devoured this book, hoping for a bit of insight on how to get our finances under control. Each family needs to understand what the family finances is all about so the first thing every family needs is a MISSION STATEMENT. As hokey and awkward as this may seem, Scott says that writing down the goals and dreams of the family is one of the most powerful steps you can take. You get a notebook and you identify what you want your goals to be and be brave and even set dates for achieving those goals. You list things like paying off the house, putting kids through college, saving money for retirement, having money for one or two trips or vacations each year and so forth. The most important job of the family CFO is to know the family expenses inside and out. Open up your checkbook and review your credit card statements for the last three months or more. Study what money is being spent on. Figure out the monthly bills and expenses. Understand where your money is going. Once you’ve organized your expenses then you can identify every opportunity to lower the costs of each of those starting with the biggest ones first. Identify every interest bearing item. Then go shopping and go look for the very best mortgage companies, auto and student loans, and car, boat and homeowners’ insurance you can find. Don’t let old friendships or concerns about hurting someone’s feelings get in the way of saving money. Just remember that your old time insurance agent or financial planner doesn’t pay your bills. As CFO you get to fire people who don’t produce value or cost you too much money. You get to hire people who deliver best value and the best rates. Every months or so, the CFO must meet with the Vice President of Family Affairs (Your Spouse) and all employees (kids). The purpose of the meeting is to conduct a formal review of expenses and bank balances. Each family meeting should have an agenda that covers the review of each key component of the family mission statement and budget. The goal of the meeting is to make sure everything is going according to plan. The end of each meeting also includes a discussion of the question: “How can we save more money?” Decisions made are documented in writing with tasks, responsibility and dates for completion of actions identified. To get everyone in the family involved and committed to achieving progress, reward people based on the money saving ideas developed and deployed. Bonuses and rewards should be based on ideas, practices and decisions that lower expenses and actually save or make the family money. Examples: Make a list of chores and assign duties, then eliminate the cleaning lady. Study the Internet for quick and easy recipes, cook at home and go out to restaurants half as much. Take up walking or running and quit the health club. Do research to identify the best cell phone packages. Reward the family out of the money saved by making changes in how money was spent in other areas (water, garbage and recycling, or going to a better Internet TV package). The Family CFO has the responsibility of managing assets and liabilities and to make sure that the family net worth stays healthy. One of the most significant and most difficult decisions to make is to be brutally honest with yourself and your ability to manage your family financial affairs. If you have numerous types of property and assets that you may best enlist the support and help of a financial advisor. These are all great tips! Are they working for us? Ask me in a few months. How do you handle finances at your house? Is it a joint effort? Do you have a good handle on your finances? Or do you, like me, struggle with the family finances? I'd love to hear your thought. I received a complimentary copy of this book to facilitate the review. This was a great reminder to me since I am so good and just picking up a few things here and there that add up to another $100. Then I drop jaw at the credit card bill when it comes. I have a book called Invest Like Warren Buffett live like Jimmy Buffett. My parents bought it for all 3 of us and its been a great easy read. Now that I'm home and not earning a dime, I need to find a way to cut back and make a little money any way I can. Thanks for the reminder that I need to rake it in and remember what I want to do!